Who says Halloween is 4 the kids!? Classic 80's Ghostbusters Inflatable "Stay Puff(t)" marshmallow man. Adults Fancy Dress. £28.00 Delivered @ Amazon. 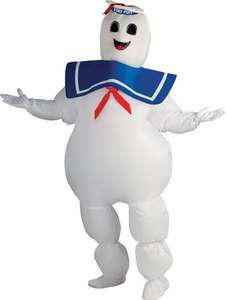 Who from that era can forget the Stay Puff (Puft) Marshmallow man? Classic bit of cheesy 80's nostalgia. Why should the kids have all the fun at Halloween?! Close to the Lowest Ever Amazon price and the cheapest I could find at the point of looking. 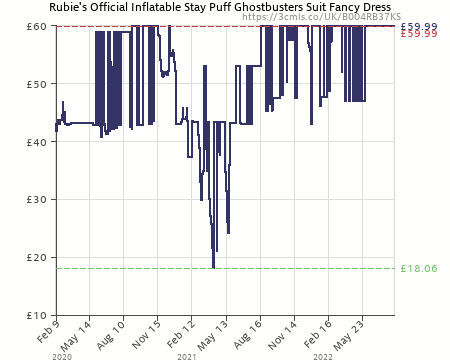 "This inflatable Ghostbusters costume for adults is composed of a jumpsuit with fan"
Taken from the detailed product description on Amazon. These are great until you want to go to the toilet!! When there's something strange, in your suit with hood...... who you gonna call?........ Drainbusters!! If there's something weird, and it don't look good.......who you gonna call?........ Drainbusters!! If you're seeing things...........running through your suit.....who you gonna call?........ Drainbusters!! I just know that within thirty minutes of me hitting the town dressed in this someone will put a fag out on it and then I will then look VERY faithful to the film. I just know that within thirty minutes of me hitting the town dressed in … I just know that within thirty minutes of me hitting the town dressed in this someone will put a fag out on it and then I will then look VERY faithful to the film. You fool!!! You've been asking for the wrong demigod. 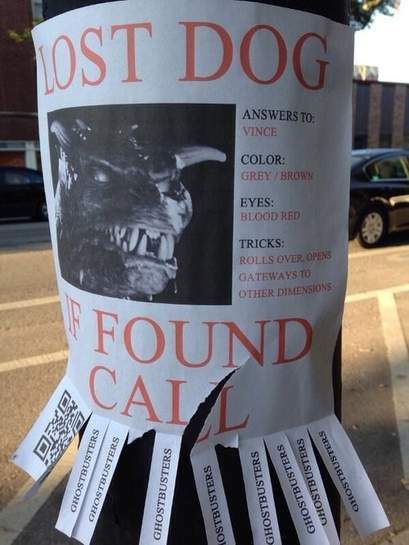 The dog IS the Gatekeeper (AKA Zuul, AKA The minion of Gozer)!!! You fool!!! You've been asking for the wrong demigod. The dog IS the … You fool!!! You've been asking for the wrong demigod. The dog IS the Gatekeeper (AKA Zuul, AKA The minion of Gozer)!!! If I had money to burn I would buy this. This will be great to answer the door to all the kids on Friday. I just need to put a sailors suit on, look the same. Looks terrible in reality. A friend had one earlier in the year and it was pretty awful. Looks terrible in reality. A friend had one earlier in the year and it … Looks terrible in reality. A friend had one earlier in the year and it was pretty awful. Agreed. It's the same case for most of the fancy dress stuff though. I'm not sure how they get away with it as what you actually receive never looks anything like the images of it! "This is an officially licensed costume"
Isn't it supposed to be "Stay Puft"? "This is an officially licensed costume"Isn't it supposed to be "Stay … "This is an officially licensed costume"Isn't it supposed to be "Stay Puft"?